Beautiful Commerce Twp ranch Home has not spared on any details. Turn key ready! Nothing for you to do but move in & start unpacking. 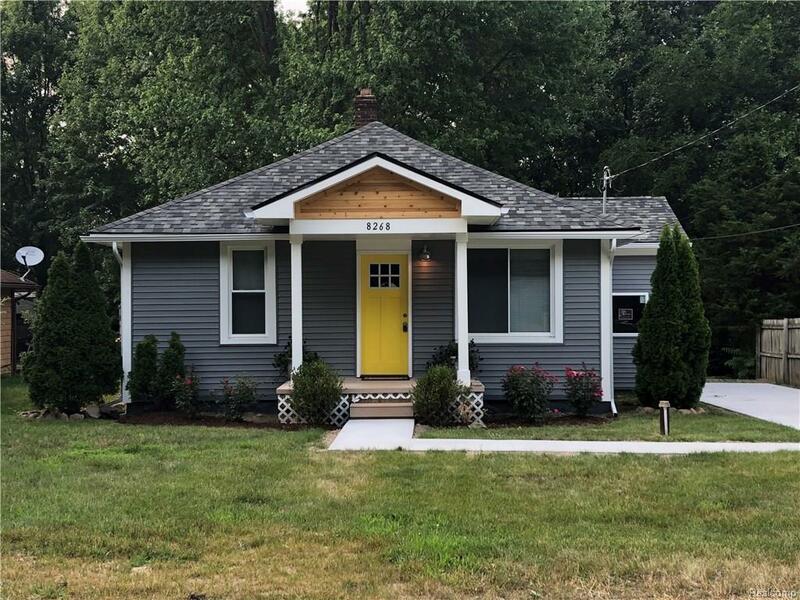 Completely remodeled in 2018, this home has a light, bright & open floor plan, and features 3 bedrooms & 1 full bath. Updates in 2018 include:vinyl siding, roof, front porch, rear deck, concrete driveway & sidewalk, AC, laminate flooring thru-out, lighting thru-out, interior & exterior doors, complete new bathroom with double sink vanity & deep soaker tub, plus, a complete new kitchen with snack bar island & built-in pantry with gorgeous barn doors! There is even a mudroom/craft room. This home was just hooked up to city sewage. Lots of storage in the basement. Big back yard for you to enjoy plus, there is still lots of room for a garage. Lower Straits Lake privileges with optional annual fee. Parks, golf course, library, restaurants & shopping nearby. Only a short drive to freeways. Highly acclaimed Walled Lake School District. This home is a must see!